Customized Label, please order as many as you have custom Garments. If you like have all your garment customized then this is for you. Now you can make a label with your name on it! 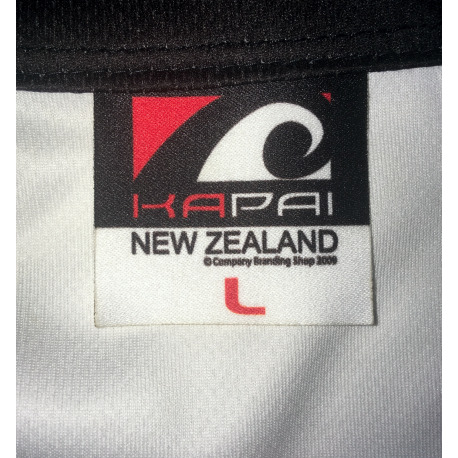 This custom Label will replace ALL KAPINUA marks. Perfect for you when you don't want people to know where you got your super cool all over printed Shirt from. Or if is a present you can write something and make that gift really special. Just add this to your order with confidence, our quality is the highest in sublimation. For the best results and to avoid bleeding and unreadable words, we recommend using dark text and logos on a lighter background. If a dark background is required the lighter foreground elements cannot be too small.